Allie Dropped 75 Lbs And Found Happiness With Fitness! Weight gain left Allie Ruby in a miserable rut. 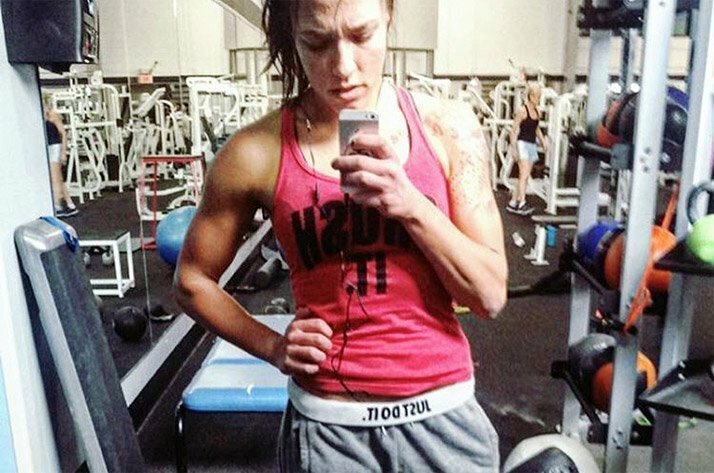 Once she took control of her fitness, she was able to turn things around and build a happier life! Allie Ruby was a pretty healthy kid. She stayed active and fit throughout her teenage years by playing for her school's soccer team, but like a lot of young adults, Allie gave in to bad habits when she started college. "I was really stressed out, and that led to unhealthy eating," she explains. "I was getting my degree in genetics, so I spent all of my time in the lab. My eating habits were terrible. I was living on coffee and soda—loads of Mountain Dew and Dr. Pepper. Basically, anything to keep me awake and everything except water. As far as food, it was everything that was fast and cheap: fast food, burritos, things like that." Add to that a sedentary lifestyle, and Allie was on the train to weight gain. "The only exercise I got was a little bit of walking between classes," she says. Not surprisingly, it was at around this time that her weight started to steadily climb. The company she kept played a big role, too. 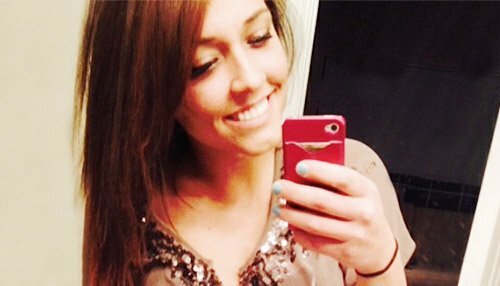 "I surrounded myself with people who had similar unhealthy habits," Allie says. "We spent all of our time going out to the bars. When we were hung over, we'd eat fast food and then go drink again." But Allie's weight gain didn't happen overnight. 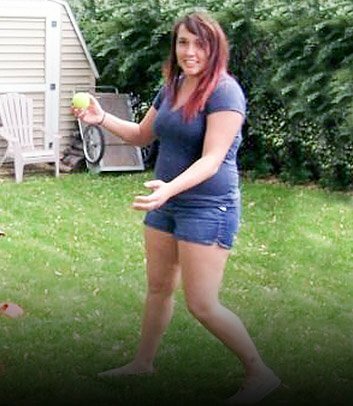 In fact, she says her weight climbed so gradually that she hardly noticed she had become obese. Then one day, she saw a photo of herself that convinced her she had to change her lifestyle. What was your fitness turning point or "aha" moment? In 2013, right before I started my transformation, my mom posted a picture of me and my dog on Facebook. I immediately called her, bawling my eyes out and begging her to take it down. She was heartbroken when I told her to never post a picture of me again. It wasn't her—it was my own embarrassment. Before that moment, I never saw myself as the heavy girl. Since it all happened so gradually, everything really culminated in that one moment. When my mom posted that photo, it all really hit me. How did you decide to change your lifestyle? After that day, I wrote down everything that was frustrating me. That really made me take a critical look at my actions and the things I was doing daily that contributed to me being unhealthy. I decided to commit to small, sustainable changes. I started by making small switches. Instead of ordering out, I'd make a salad. Instead of a burrito, I'd have snacks like brown rice or cottage cheese. What results did you see from those changes? It absolutely amazed me how spectacular and energized I felt after the first week of eating healthier. It was only a few weeks before I felt so good that I started adding at-home workout videos to my routine. 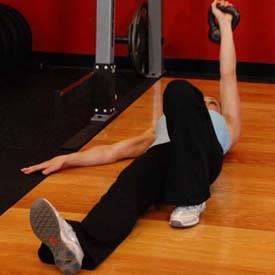 How did you introduce full-fledged workouts into your routine? I started by taking my dog for runs. I was going about four days a week and using the Couch to 5K app, which is a really gradual training program that combines walking and jogging to work you up to running a full 5K. I don't like to run, but my dog was a good source of motivation. At the same time, I started doing at-home workouts, which made me feel a little more comfortable with myself, so I knew I wouldn't feel like a complete moron going into the gym. 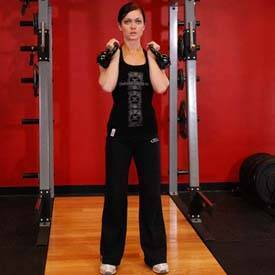 Were you nervous or intimidated about going to the gym? At first, I was very intimidated by the gym and all of the gym goers. I thought everyone was judging me and making side comments on my form, or how I did nothing right, or how I was too large to work out. I've really gotten into kettlebell workouts. 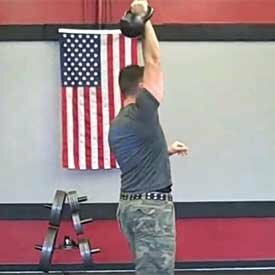 I work with my trainer and do research online to build kettlebell routines. How did you overcome that intimidation? It was a lot of self-talk. I started thinking to myself, "Why would somebody think negative thoughts about someone who's just trying to better themselves?" And if people do that, then shame on them. I've always worked with a trainer. I've also done group workouts, like boot camps. Lately, I've really gotten into kettlebell workouts. 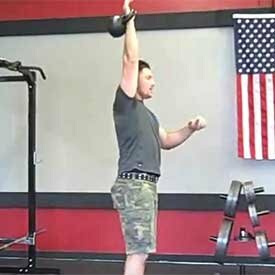 I work with my trainer and do research online to build kettlebell routines. I've used several workouts from Bodybuilding.com, like the Onnit strength variety day. I also use the Bodybuilding.com app to build some of my own workouts. 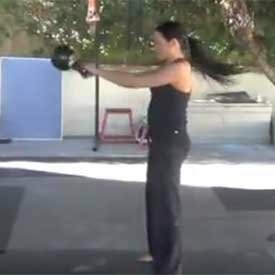 What attracted you to kettlebells? Not many people know how to use them, and they're almost always available at the gym. 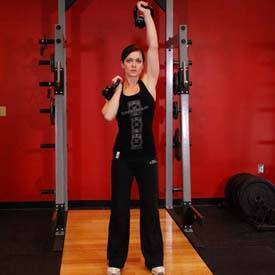 Kettlebells are great pieces of equipment that hit every muscle in your body. 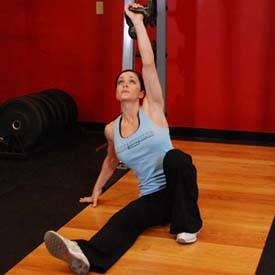 You may think you're working just your arms, but you're also working your core and hamstrings and getting cardio at the same time. It's a full-body workout. That's what I like. What do your workouts look like now? Note: Rest 1 minute between rounds. 5 sets of 10 reps per side, rest 30 sec. 4 sets of 10 reps per side, rest 1 min. 20 sec. high-intensity/10 sec. low-intensity for 4 min. How do you stay motivated to go to the gym every day? I'm a visual person, so I started following a few people on Tumblr and Instagram for inspiration. I wrote down my goals regularly, which helped me to stay on track. I joined a boot-camp gym and made friends in the program—it was absolutely phenomenal to bond with people of all ages with various health backgrounds who were all working toward the same goal. We empowered each other and encouraged success along the way. Is that why you started sharing your progress on social media? My ultimate goal was to be an example to my parents; they were both getting pretty overweight. I thought if I could show them that I could do it, they would jump on the wagon, too. My stepmom follows my fitness page on Facebook and she says my progress made her really up her game. We've always worried about my dad, because he travels a lot for work, and he's always been a little overweight, but he's gotten on board in the past month; he's even lost 10 pounds. My mom is really interested in a lot of the things that I do. She'll ask me what she should do, and while I always tell her I'm not a professional, I make sure to guide her in the right direction and help her navigate the first few steps on her path to progress. Did you have any setbacks during your transformation? Early on I was pushed too hard by a trainer who was trying to teach me how to use kettlebells. My form was off, and I told him my back was hurting, but he brushed it off. It actually turned out to be sciatica. That ended up sidelining me for a while. As I got more advanced, I wanted to know how many grams of protein, fat, and carbs I should be eating at specific mealtimes, so it wasn't long before I started tracking macros, too. 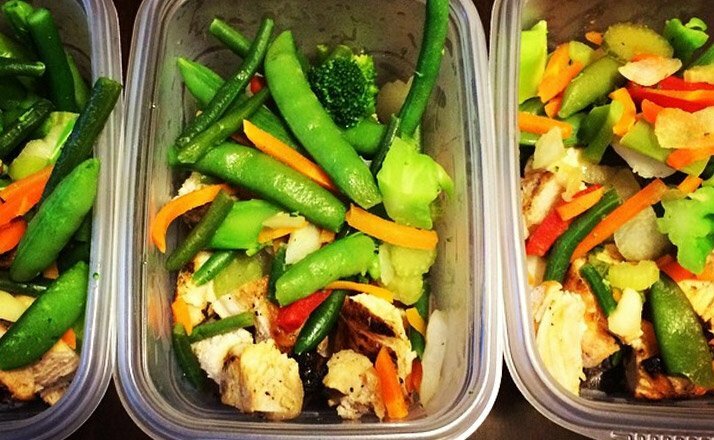 When did you start following a meal plan? I started a nutrition plan in late August after looking at photos of myself. I was feeling pretty confident, but knew I could kick things up a notch. At that point, I knew it was time to dial-in my nutrition. My trainer helped me a lot. Initially, I started out just tracking my calories using MyFitnessPal. As I got more advanced, I wanted to know how many grams of protein, fat, and carbs I should be eating at specific mealtimes, so it wasn't long before I started tracking macros, too. In the last few months, I decided to up my game. I needed a goal other than just losing weight. I decided to get into kettlebells and get certified. 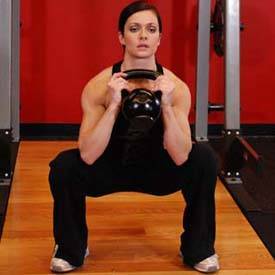 I plan to pass the Russian Kettlebell Certified Instructor course in April and then focus on getting my nutrition and weight-loss certification to become a consultant. I would like to start my own mentoring or consulting business so I can help others feel the happiness I get from fitness. I want other people to fall in love with themselves like I did. Another goal is to dip my toes into the competition world. Who knows—maybe I'll fall in love with that as well! I think I was Googling something one day, and one of the articles came up. To be honest, I wasn't into it initially, because I didn't want to be a bodybuilder. I wanted to be "delicate-runner Allie." But then I found BodySpace, and that drew me into the site. Now I'm on Bodybuilding.com all the time! How does the site help you achieve your goals? I love the sense of community on BodySpace. Nobody says your fitness posts are super annoying, which I hear on other social media platforms. It is absolutely astounding how many people are supportive and encourage others to hit their goals—and the whole time, they're cheering on complete strangers! We live in a world where it's considered "annoying" or "bro" to post your goals and track your progress online, but BodySpace embraces that feeling of comradery. It gives you the sense that you're not in it alone and fosters a team mentality. It has allowed me to find other people who are positive thinkers and understand the mental battles we go through in the process. "Kick Out the Epic Motherf**ker"